In Chapter 5, Stuart Robson, Sally Macdonald, Mona Hess and Graeme Were show how engineers and museum professionals can collaborate to create new knowledge, using computational techniques. They introduce the key principles, advantages and limitations of 3D scanning and look at its existing and potential applications in museums. These include the ability to record objects ‘in the round’ more scientifically (in order to support conservation programmes or enable close comparison of similar objects) and the potential to introduce new interpretations and to reach new audiences globally. They also discuss some of the potential issues – ethical, aesthetic and practical – that 3D interpretations raise for the museum world. In a participatory approach to user-designed systems users were asked to browse their objects on a prototype of the E-Curator application; the direct feedback further influenced the software design. Right: Entry site of the E-Curator prototype with objects from UCL Museums and Collections. 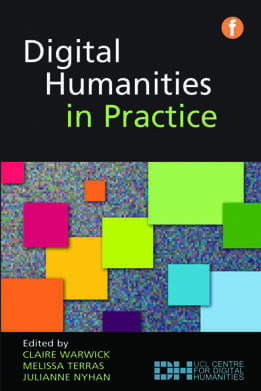 This study describes the development of a new virtual research tool for the arts and humanities community. Led by UCL Museums and Collections, E-Curator commenced in October 2007 and focused on the extent to which 3D colour laser scans of artefacts might enhance our understanding of physical objects. We asked whether highly accurate 3D scans allowed us to push forward the boundaries of the traditional 2D photograph, catalogue entry and condition report. We were interested to explore whether such deployment would enable curators and conservators to compare high resolution 3D colour records, collected at different institutions, stored remotely or collected over a period of time under different conditions, in order to assess and monitor change1. The objective was to establish protocols for retrievable data acquisition and processing to facilitate remote web based access to museum e-artefacts and, thereby, enhance international scholarship. An Arius3D 150 foundation system laser scanner, housed in UCL’s Civil, Environmental and Geomatic Engineering Department, enabled the team to experiment with state-of-the-art colour 3D documentation and the collaborative sharing of virtual 3D images of museum artefacts. The scanner has a unique scanning head, equipped with three discrete red, green and blue lasers, simultaneously measuring surface reflectance at three distinct wavelengths and surface geometry (XYZ co-ordinate location and surface normal vector), by triangulation to record the laser reflection at each illuminated location. At its highest spatial resolution, the scanner provides one 3D point per 100 µm. The scanning head is mounted on a co-ordinate measuring machine (CMM), which allows highly accurate and repeatable scanning over an object surface within an environmentally controlled space, which provides a physically stable space for both the museum artefact and the scanning system. To describe the 3D representations of the museum artefacts as having a clear ‘provenance’ : this includes both a description of the history and ownership of the object and data that describes the production of the digital 3D scan of the object. The developed metadata set, based on SPECTRUM, provides a relevant framing for artefacts, such as historical and archaeological particulars, conservation, exhibition and display information (Robson et al, 2008 *). The project took a practical, multidisciplinary approach to traceable storage and transmission of 3D scanned datasets. An internet-capable 3D visualization tool was designed, using state-of-the-art colour laser scanning technology for digitizing museum objects, in combination with an e-science developed data storage and retrieval solution, as a shared platform, accessible by museum specialists on low-cost computing hardware. E-Curator uses Storage Resource Broker, which is a widely available e-Science technology. The platform supports the sharing of very large high-resolution 3D datasets and related metadata of a variety of museum artefacts in a distributed computing environment. The E-Curator prototype enables an external user to access and search different objects across UCL Museums and Collections. It was developed in discussion with a team of museum curators and conservators, who were able to compare the handling of a range of real objects with their virtual copies onscreen (Hess et al, 2009*). A particular strength of the E-Curator project lay in the participation of stakeholders in all stages of the design and development process. The project introduced curators and conservators to the potential use and transmission of 3D data sets. Although the project used the best available technology in 3D colour scanning, and had produced object records that provided significant new information over and above photographs used in museum practice, it became clear that for 3D colour scans to be of real use to the museum and conservation specialists, a higher spatial resolution and more realistic colour rendition, especially in areas of high reflectivity, was needed. Another requirement was the ability to combine several different types of image data, in order to allow for more detailed examination and comparison. Despite the lack of previous experience of dealing with scan data and metadata, curators and conservators were ready to engage with the potential of the technology and keen to see it developed further (Robson et al, 2011*). From left to right: 3D handheld laser scanning of the Solomon Islands War Canoe in the British Museum store; 3D image of geometry and with reconstructed attached prows; isolated ribs of the canoe; combining photogrammetry for a 3D colour reconstruction of the outer hull; details of the colour reconstruction with complete decoration of the prow and stern. This project was funded by the Research Council of Norway, under the auspices of the Pacific Alternatives Project. The team involved collaboration between anthropologists, geomatic engineers, museum curators and collections staff from three institutions: the British Museum, University of Bergen and the University College London. The Solomon Islands war canoe project set itself the challenging task of 3D scanning an entire 11-metre war canoe, held in the ethnographic collections at the British Museum, and then repatriating it to its community of origin in the Pacific. The war canoe is a significant object, not just due to its length, but also for its complex hull design: wooden planks lashed together and sealed with a type of puttynut. A shell inlay patina covers the bow and stern of the canoe, while cordage lashings inside the canoe secure the ribbing. In generating a 3D digital image of the canoe, the project aimed to capture, in high resolution, these key technical features of the canoe. This was important, because the people of Vella Lavella – a small island in the western Solomon Islands, where the canoe was originally built – had, to a certain extent, worked from black-and-white colonial photographs to revive canoe-building skills. The digital repatriation of a high resolution 3D digital scan thus presented an opportunity to rediscover and recommunicate, to the community of origin, technical knowledge that they had otherwise forgotten. The technical task was particularly complex, due to the size and nature of the canoe and its construction, the space requirements for the portable 3D scanning equipment inside the storage space and the complex digital images. The metric scanning took two weeks to scan the outer and inner hull of the plank canoe, and the digital reconstruction process took a number of months to undertake. The two tall prows at either end of canoe had once been cut off to allow for its transportation and storage. Moreover, the canoe’s shell decorations had also been removed and stored in boxed-up parts, alongside the canoe in the museum store. Scanning these components separately allowed the canoe to be digitally reconstructed using 3D graphic software – with prows and decorations seamlessly attached – thus making the object complete for the first time since its acquisition in the 20th century (Hess et al, 2009*). The project also raised a number of important anthropological issues. These derive from the process of digital repatriation. Key issues centre on access, authenticity and knowledge. Digital heritage technologies often promise to offer enhanced access to cultural objects stored in museums; this project intended to test this, in the context of a remote island in the Pacific. The political rhetoric of digital repatriation purports to offer an experiential engagement with cultural objects, mediated through realistic 3D digital images. Many indigenous communities do not have regular access to internet connections, unless a mobile computer and data set are provided, so this raises issues of ‘access for whom?’ This is especially important in the Pacific, where most people live in rural communities. However, the Solomon Islands were chosen, because rural communities now have access to laptop computers through a United Nations Educational, Scientific and Cultural Organization (UNESCO) scheme, as well as a VSAT internet broadband network. This means that people can access their own cultural heritage online, when provided through local school and governmental institutions. In the context of the digital repatriation of the 3D digital model of the canoe, the Vella Lavella community were able to view the canoe through an easily (downloadable) installable plug-in of the 3D display software. This meant that people could explore the interior of the canoe – its hull and the shell inlay – mediated through the computer keyboard, mouse and screen. This practice of moving across the surface of the image and examining specific features was termed ‘torching’ by the local people. It suggests how, in moving the mouse, one is able to focus on the surface of the canoe, as though pointing a torch. The project raised questions about the relation between the real canoe and its digital copy. If a cultural object is reproduced as a 3D digital image, how do people relate to its (digital, intangible) derivative? For example, for some religious adherents in India, images of Hindu deities are worshipped and revered, as they are deemed to be manifestations of gods. Recent research suggests that such beliefs extend to the realm of digital reproductions of secret/sacred objects (Brown, 2007*). From an engineering standpoint, authenticity is embedded in the scientific method and the metric qualities of the documentation. Such attributes enable quantitative recording and reconstruction, whereby accurate, highly detailed dimensional information can be obtained. Such data is suited to both comparison between objects of similar types and accurate physical reconstruction. Adherence to metric requirements must be considered as an integral part of the overall process, otherwise it will significantly increase project costs. Responses by the local community in the Solomon Islands to the 3D digital canoe were mixed, although no ritual protocols were established to view the canoe. The initial repatriated scan – although enthusiastically received by local people – still lacked colour in its virtual reconstruction. Some people were unable to identify the canoe as one of their own. They explained that this was because the canoe was undecorated: there were no cowry shells, red twill and feathers, so they did not recognize the digital canoe as a particular class of war canoe from Vella Lavella. They were unable to relate the 3D digital image of the canoe to what they imagined the canoe to be in the past. As a consequence, they claimed the digital image was dead, lifeless and even broken. This was rectified later, when a second, more detailed full colour 3D image with decorations was presented to the Vella Lavella community in 2010. If, as Svetlana Alpers states, the museum effect is about an informed process of seeing (Alpers, 1991*), then how do we look at objects mediated through digital technologies? In this sense, does the software interface through which the war canoe is viewed allow for a spectator to examine and focus in on certain features of an object, as though passing one’s eye over the surface of a thing in an analytical way (Were, 2008*)? Or does looking invoke wonder, awe (Greenblatt, 1991*) or even a form of play? These three points emphasize, through a critical approach to digital heritage technologies, that issues of access, authenticity and knowledge are crucial factors that are situated within specific cultural frameworks and understandings that require sensitive handling. Indeed, the success of this cross-disciplinary project is that it focused on the needs of the local community. In turn, in delivering a technological solution to the restitution of cultural knowledge, it led to new understandings about the technical construction of the war canoe, which was shared between Solomon Islanders, museums and anthropologists. Since digital heritage technologies offer the only feasible way that many indigenous communities will get to access their own cultural heritage held in Western museums, this project underlines the importance of designing technology in consultation with source communities. • Hess, M., Were, G., Brown, I., MacDonald, S., Robson, S., & Simon Millar, F. (2009). E-Curator: A 3D web-based Archive for Conservators and Curators. Ariadne online magazine for information professionals in archives, libraries and museums in all sectors. (Issue 60/ July 2009). • Alpers, S. (1991) The Museum as a Way of Seeing. In Karp, I. and Lavine, S. D. (eds), Exhibiting Cultures: the poetics and politics of museum display, Smithsonian Institution Press. • Brown, D. (2007) Te Ahu Hiko: digital heritage and indigenous objects, people, and environments. In Cameron, F. and Kenderdine, S. (eds), Theorizing Digital Culture Heritage: a critical discourse, The MIT Press. • Greenblatt, S. (1991) Resonance and Wonder. In Karp, I. and Lavine, S. D. (eds), Exhibiting Cultures: the poetics and politics of museum display, Smithsonian Institution Press.